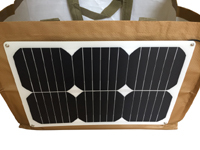 *Shopping bags in the above images are sold separately. 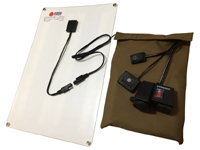 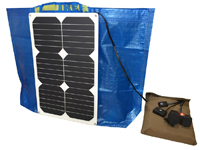 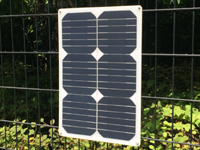 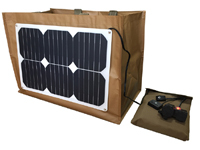 A mobile PV system with a highly efficient mono crystalline flexible solar panel with strong neodymium magnets for easy mounting on a bag, on a metal fence or on a metal handrail and an air-transportable Ni-MH battery pack designed for powering a broad range of appliances in business, disaster preparedness, leisure and everyday living. 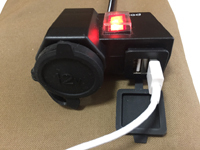 Charging the built-in Ni-MH battery by sunlight, and powering a broad range of appliances through a DC12V cigar lighter receptacle and DC5V USB receptacles. 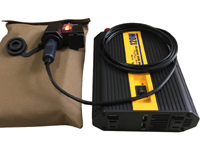 *DC-AC inverter and USB cable in the above images are sold separately. 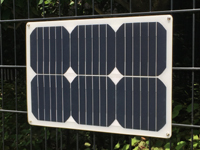 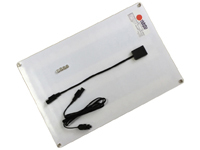 A light yet impact resistant flexible solar panel just 2.0mm in thickness with highly efficient mono crystalline solar cells. 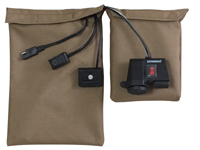 M4 grommets with strong neodymium magnets for easy mounting on a bag, on a metal fence or on a metal handrail. 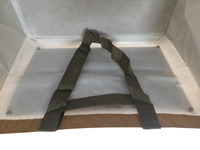 Highly water repellent and quick drying Mil-Spec 500 denier coated solution dyed Cordura Nylon fabric with excellent resistance to fading, abrasion, IR reflection, rot and mildew with long life Mil-Spec tape fasteners. 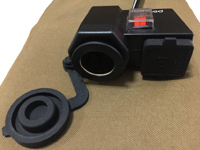 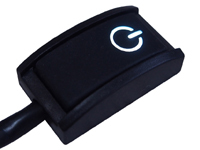 Dust and water proof input cable and connector for weather resistant outdoor installations. 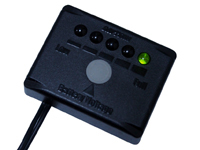 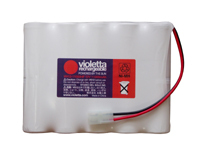 *VS12-B11NHK battery compartment is not dust and water proof. 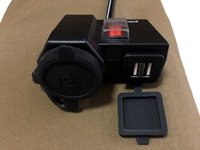 A DC12V cigar lighter receptacle with a dust and water proof cap and 2 DC5V USB receptacles with a dust and water proof cap for output. 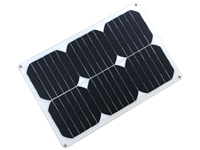 VS12-M18SP solar panel is not foldable.